Leicester City boss Claudio Ranieri has said that Algerian attacker Riyad Mahrez wants to stay with the Premier League champions. The 25-year-old Fennec Foxes star was instrumental in Leicester’s title triumph last season and was awarded the PFA Players’ Player of the Year award. He has been strongly linked with a move away from the club, with the likes of Arsenal and Barcelona mentioned as possible destinations. 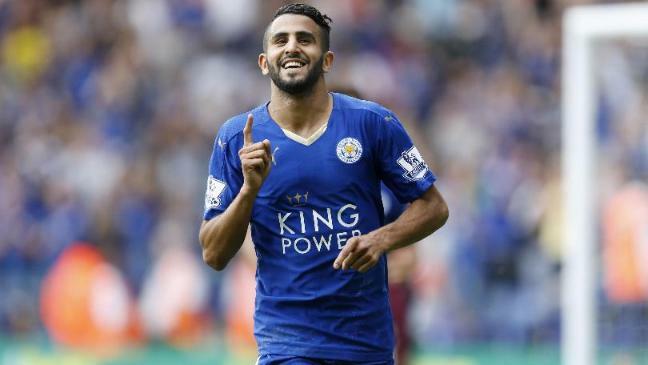 However, nothing concrete has emerged from the speculation and it appears Mahrez is set to stay with the Foxes. Ranieri certainly believes this is the case. The Italian spoke to the British media after Tuesday's 2-1 friendly win at Oxford and said: "I think everybody here is happy. It's finished, the market has finished." Asked specifically if he had spoken to Mahrez, Ranieri said: "Yes, he wants to stay." The news will come as a major relief to Leicester fans, having already seen key midfielder N’Golo Kante depart for Chelsea earlier in the month.